"Your techniques have helped me enormously. I've learnt to recognise what gives me energy and what drains it and have been able to let go of attachments to people and other sources of stress that were keeping me stuck in a life I didn't want to live. Without your loving support, I doubt I'd be living the happy, successful life I have today." We've found, in over 50 years of combined Energy Awareness practice, that our health, wealth, relationships, work, creativity and other life experiences all reflect the kinds and quantities of energies (qi) flowing through our bodies. And that by cultivating your qi, you can transform your life and discover your hidden potential. All of 'who you are' – your qualities, abilities, strengths and weaknesses – are the products of certain energies (not only qi) in your body. And each problem you ever experience reflects your lack of an energy you really need in your life. Changing your energies really will change your life. Start today by reserving your place on this life-changing weekend. 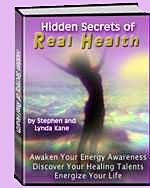 How to recover your energy, overcome chronic health problems and improve any area of your life or work through awakening your dormant energy awareness! You feel the need to be able to cut through all the confusion in your life and start making decisions based on knowing what will really benefit you, your family or friends – and what is best avoided. The practices taught in the training go far beyond all the usual energy testing techniques by developing your own direct awareness of human and environmental energies. You want to develop your higher awareness but wish to avoid the pitfalls, belief systems and unnecessary behaviours or rituals so often included in many forms of personal or spiritual development. You have some sense of energy or qi (maybe by doing tai chi, qi gong or some form of energy therapy, etc.) and would like to understand more about how it actually works, how it affects your life and how to cultivate yourown energy to bring more power, focus, happiness and success into any area of your life. You are in a caring profession and would like to develop your energy awareness to help your clients more effectively and empower your practice. As a health practitioner, Energy Awareness methods can easily be integrated into your current practice for increased awareness of the effects of your treatment on your client. The Living With Energy Awareness Training includes clear and easy-to-follow protocols for you (see below). "The trainings you have created and the empowerments you give are the most precious gifts I've ever been given. My prayers for a true path were answered when I met you. Thank you for doing what you do." What will happen on the training? 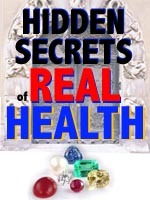 How to protect yourself from health-damaging energies and relationships – and beckon more empowering relationships and opportunities into all areas of your life. The Returning Life weave – a unique and powerful qi-cultivating exercise for recovering your lost energies and revitalizing your life. Every day we lose a little more energy. However, practitioners of the Returning Life tell us that people who haven't seen them for a while remark on how much younger they look! The route to whole-body energy awareness – techniques for accurately identifying which foods, relationships, exercises, medicines, colours, clothes, jewelry, therapies, teachers, houses, places or possessions will help or harm you or others. You will leave the training able to tell how anything is going to affect you and whether a decision is the right or wrong one for you. Environmental Energy Awareness – how to protect yourself from the increasing energetic (EMF, geopathic, sha chi and much more) stress and pollution in the world and how to use the energies in your environment (with which we are intimately integrated) for your personal development. Also, how to eliminate the foreign energies we all pick up from other people and demonstrations of the unique Energy Egg energy protection device. Manayoga – inner-energy cultivation methods which enable you to pass beyond physical means of testing energy – such as dowsing, muscle tests or electronic instrumentation – to direct energy awareness. The start of a life-long journey into the worlds of energy: body energy awareness, environmental energy awareness and spirit energy awareness. Awakening your dormant, psycho-energetic talents – an introduction to how developing your own essential creativity – your personal path – is the most powerful means of overcoming the root karmas or ongoing problems in your life. Addressing your root karmas is a journey of increasingly extraordinary discovery of who you are capable of being. Generating your fortune path – your future life is created by the decisions you take today, tomorrow and the day after that... because each decison affects your energy and your energy is your life! These techniques enable you generate the energy to transform current or future misfortunes – confusion, exhaustion, illness or failure – into opportunities for new wisdom, strength, happiness and success. "... it's different to anything else and was so challenging to my beliefs and self-perceptions. It far surpassed my expectations - I certainly didn't expect a course that is changing how I look at who I (really) am and how I make my choices in life. Unlike many approaches that just might make you feel better but don't really change the problems, I am changed and am different." This is not a training for the mass market. It is transmitted directly, person to person, through the medium of unique exercises, concentrations and practices. This work gives you the opportunity to awaken your dormant talents – the psycho-energetic abilities with which each one of us is born but which, for most people, never reach the light of day. A great deal of attention is given to the empowerment process for each participant in the Living With Energy Awareness Training so course numbers are kept relatively small. We invite you to join us in this life-changing experience. "It was an unbelievably great weekend. I have never been on a better training. It was a heavenly experience"
or contact Carol to book a place or if you have any questions. After registration you will receive additional information about the course, what to bring and details of the location. etc. Give yourself the opportunity. It's an experience you won't forget! "It was such a brilliant weekend – I feel truly blessed – I wish I'd found this work years ago!" These appointments fill up quickly, so please book well in advance.